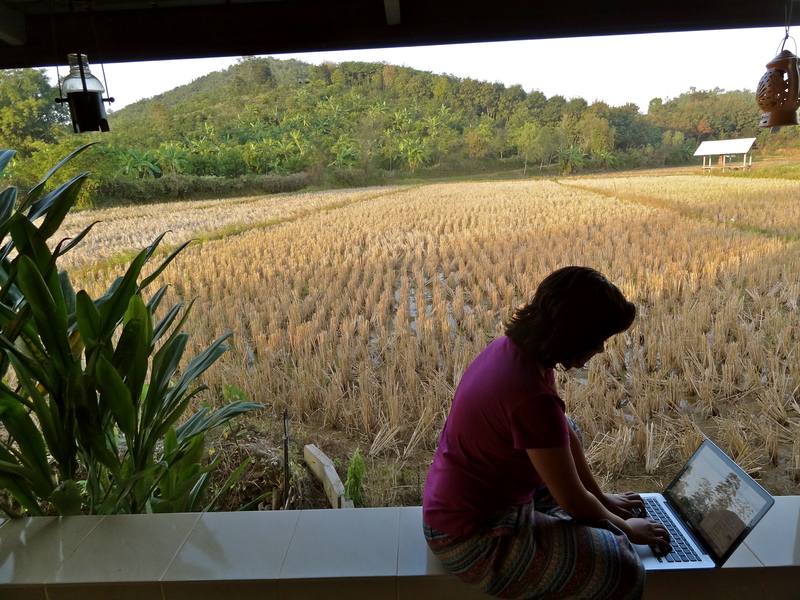 There are very few places in the world that feel like home to me, and northern Thailand is one of them. I showed up there with a tired soul, on an impulsive trip that I hoped would rejuvenate me (Read: Going Back to The Places we Love). And what can I say? Thailand gave me the time, space and natural beauty to think, write, and appreciate the little joys of life again. I pen this post from a little gourmet cafe in Singapore, and these photos, taken with my Sony Cybershot camera, are to be my sunshine on dark and dull days in the year ahead. I hope they’ll make you yearn as much for the Thai countryside. 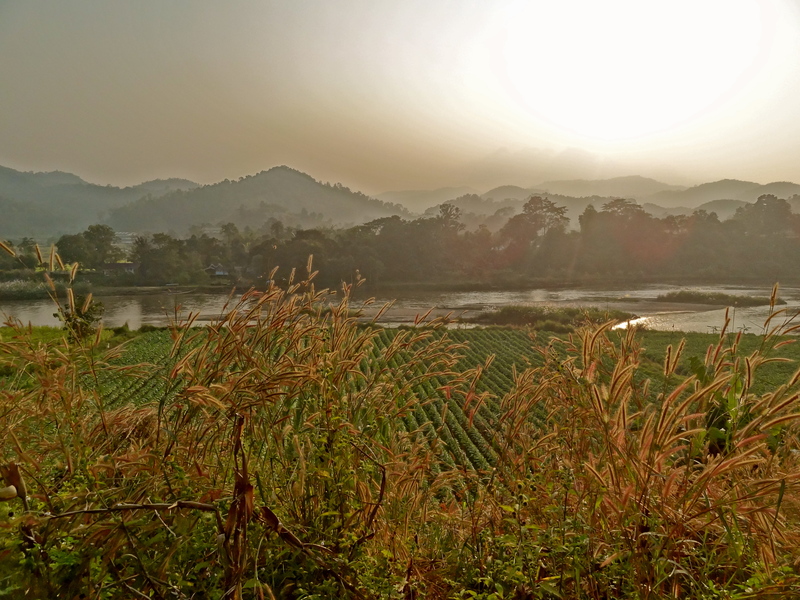 for such surreal views of the hills, river, paddies, and sunsets that are now etched in my mind forever. 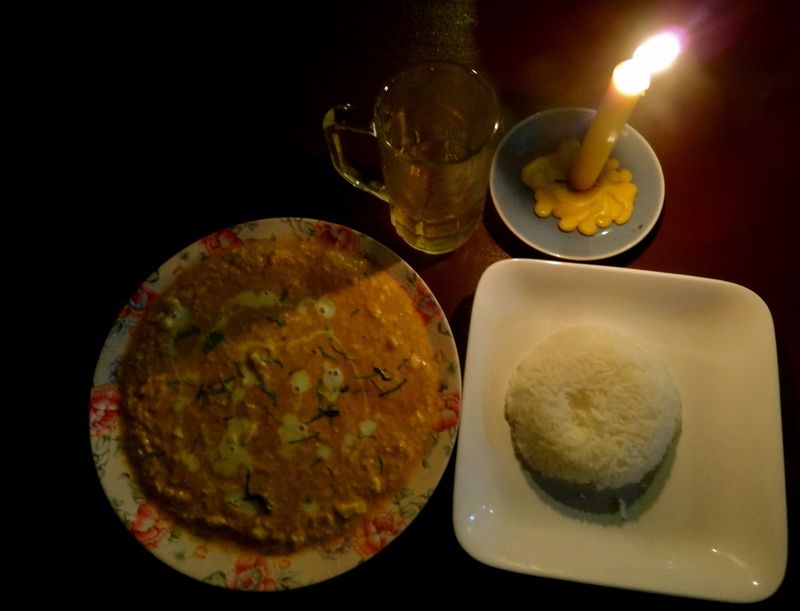 at Ban Lom Jen Homestay – Penang Curry and steamed rice. Delicious! 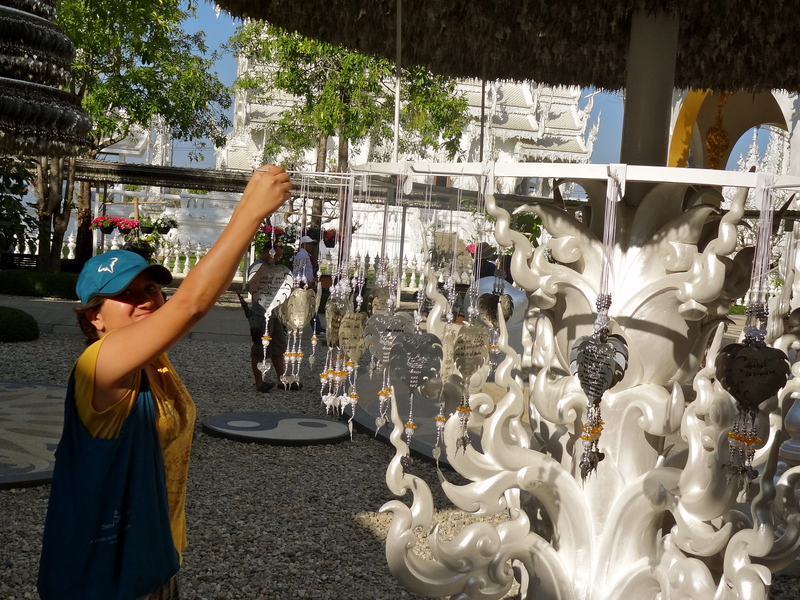 of Chiang Rai, that fuses traditional and contemporary thinking, and portrays heaven and hell in today’s context. 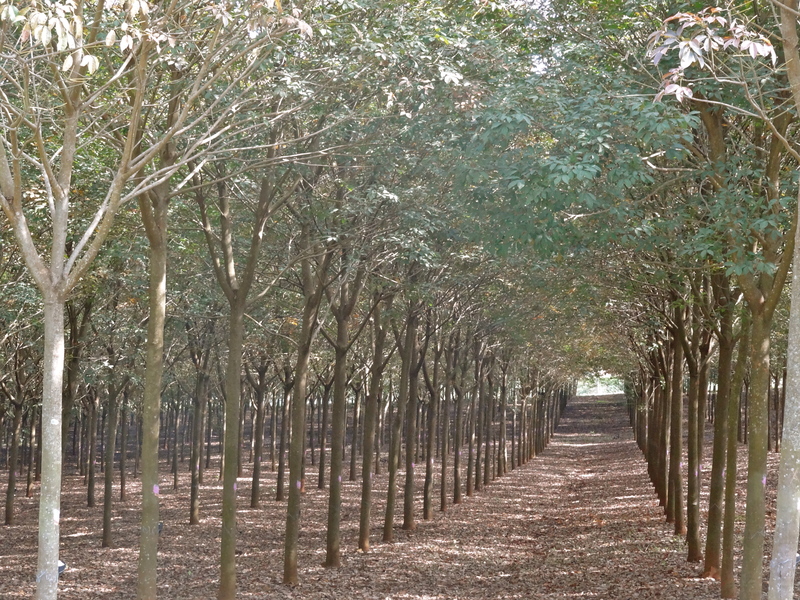 ; these rubber plantations line the way from the Chiang Rai prison towards the Thai village of Mae Yao. 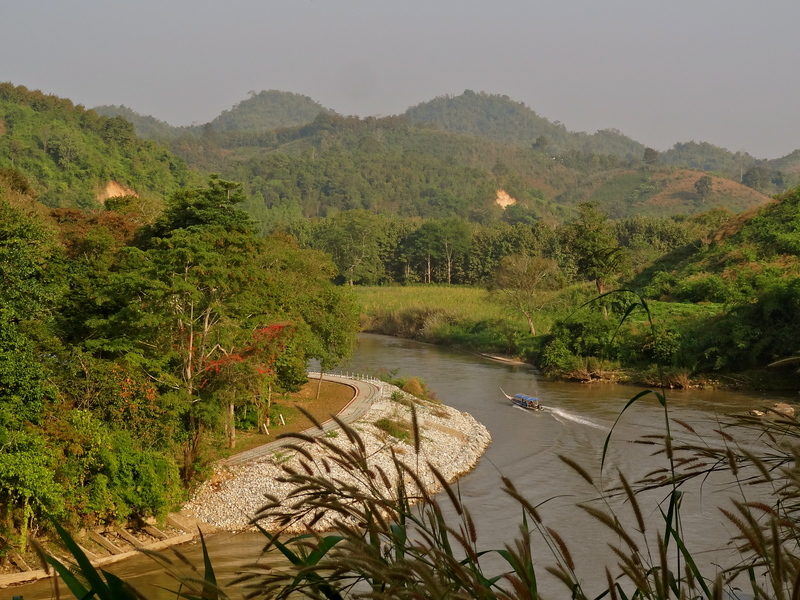 along the Kok River that winds along the countryside of Chiang Rai, then merges into the Mekong River into Burma. 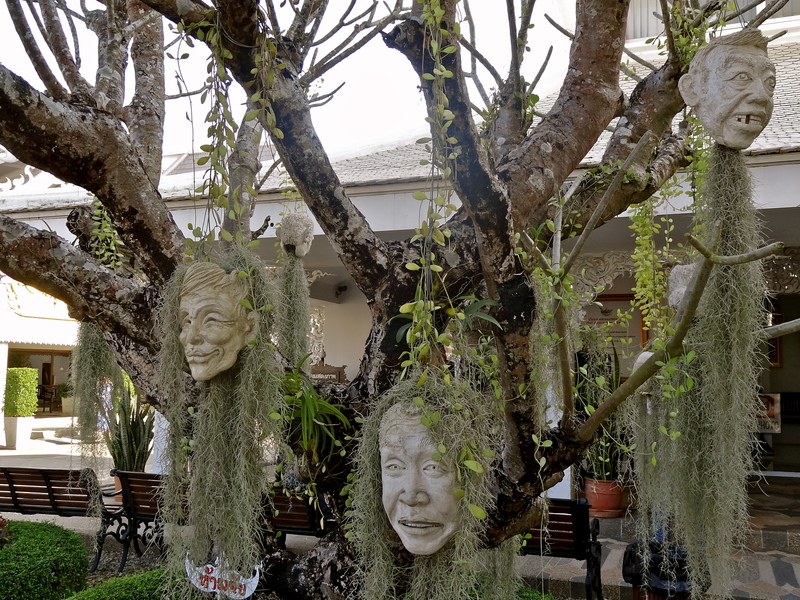 ; these faces are everywhere around the White Temple! 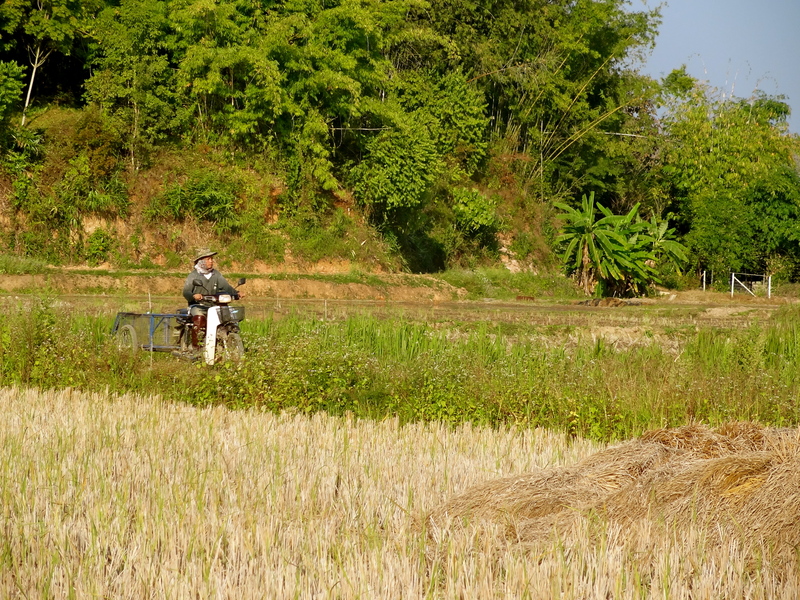 and the love with which older Thai men and women treat their rice paddies. in a tribal village in Chiang Rai. 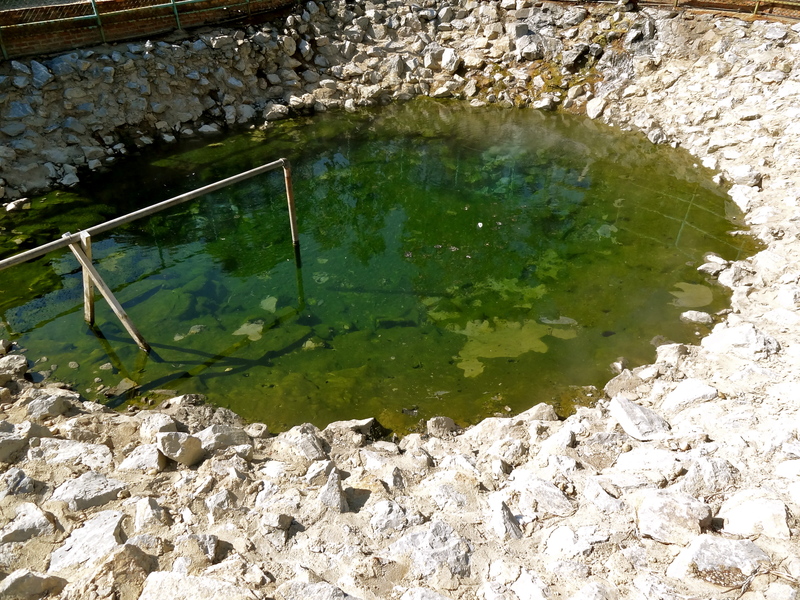 The sulphur smells like a chemistry lab (terrible), but the hot underground water is extremely relaxing. with my wonderful hostess, Son. 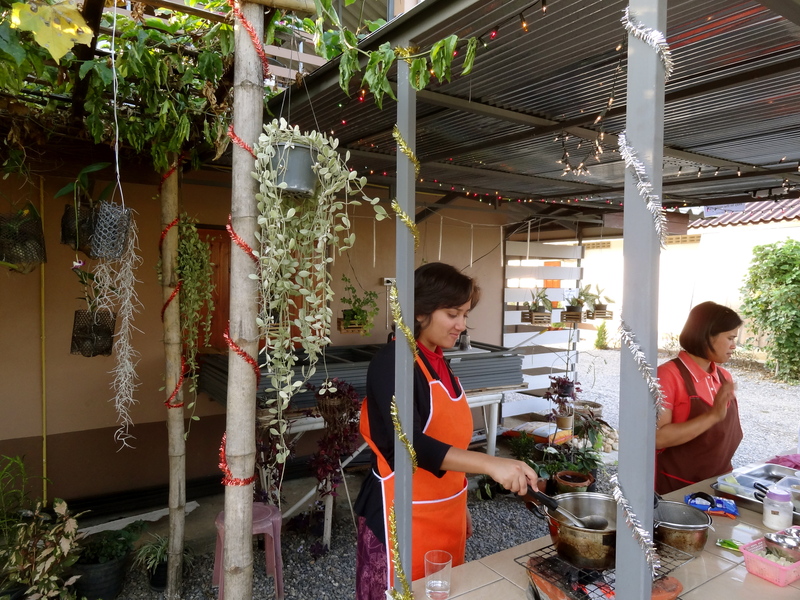 There’s magic in the Thai food she whips up! 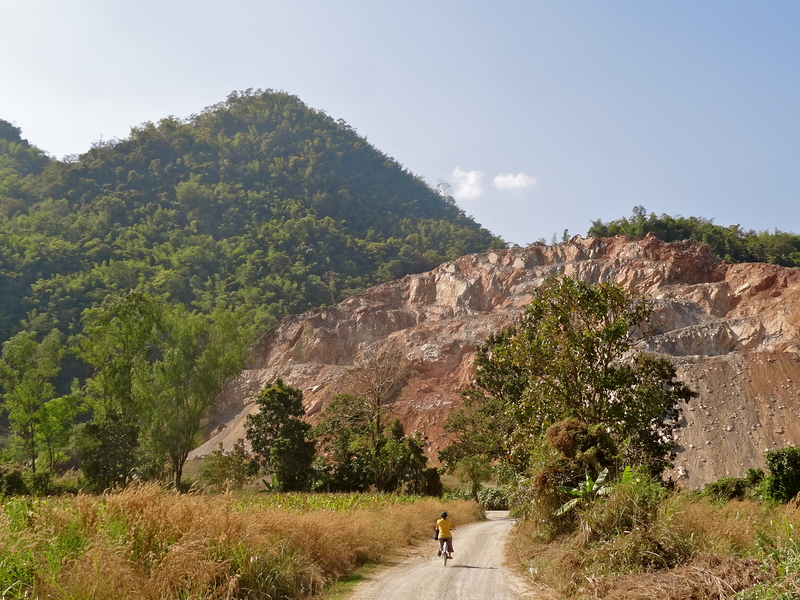 amid the dramatic scenery formed by the hills and rivers of northern Thailand. at Ban Lom Jen Homestay! at the White Temple. The wish before me asked for marital bliss (! ), guess what I wished for? Would you like to visit Northern Thailand someday? I hope you do, Sarita. There’s so much more to Thailand than luxury resorts! Wow..that’s great,and I used to think Thailand is all about beaches and sand. It does have awesome beaches, but so much more than those too! Hope you get to visit soon, Ashwin. Beautiful and very capturing! As always, love to follow your adventures and blissful paths. Nice photographs with great variaty and uniquness. Thanks Amit; glad you liked them! A lovely selection of photos. 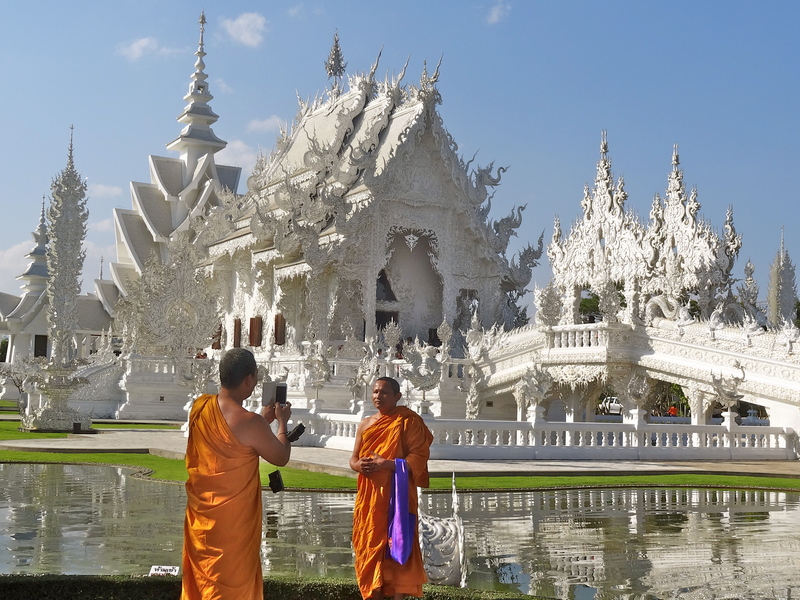 I particularly like the white temple, it looks so different to anything I have seen in Thailand before. Thank you! I’m not really a temple person, but the white temple absolutely blew my mind. Please visit it the next time you go! How beautiful 🙂 Enjoy your travels! Thank you so much for sharing Thailand pictures! I think I mentioned it on your Facebook page too, but anyway, I think you’d love Laos and Cambodia too! I was born in Thailand and travelled in Thailand a bit but definitely not as much as you have. You certainly have been places that are off the beaten tracks. It’s nice to meet someone that appreciate the other side/beauty of Thailand. I have a question about your travel. Do you travel alone? Would you recomend traveling alone? Photos often tell much about a destination. Thanks you for your fantastic pictures. The Thailand country side looks amazing. I’m going there at the end of this month. Let’s see how much will I be able to experience it. Previous PostLufthansa Contest: Can You “Park The A380”?